2015 Honda Civic - pricing, engines, spec and on-sale date | What Car? 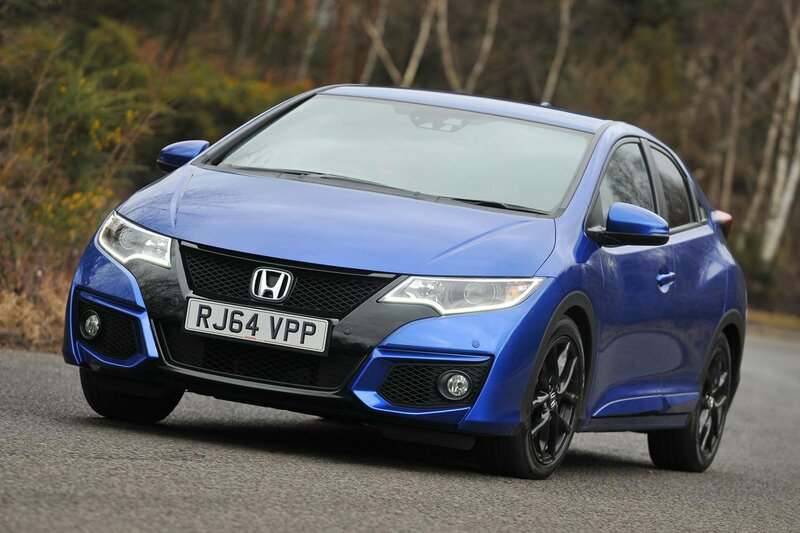 The revised Honda Civic range will have a number of styling and technical changes when it goes on sale next month. Both the hatchback and the Tourer get updated front and rear lights, new front and rear bumpers as well as new side skirts. Inside, there are new seat fabrics, chrome door handles and the control panel is finished in black. There is also be a new infotainment system called Honda Connect, running the Android 4.0.4 operating system. It's controlled by a 7in touchscreen that allows the user to swipe and pinch to zoom as they would on their smartphone. A new Sport trim will be available on the hatchback. It comes with either the 1.6-litre diesel or 1.8-litre petrol engine. Standard kit includes a rear spoiler, Type R-style bumper and grille, blackinterior roof lining and new 17in alloy wheels. Engine options are expected to stay the same. Petrol buyers can choose from either 1.4- or 1.8-litre units while those looking for a diesel get a 1.6 i-DTEC. The 1.4-litre i-VTEC unit is available in only hatchback form. All Civics come with alloys and climate control, while the firm's new Honda Connect infotainment system will be available as an option across all trim levels. Entry-level S trim gets 16in alloy wheels automatic headlights, heated mirrors, Honda's vehicle stability assist and hill-start assist. SE grade adds front and rear parking sensors, leather steering wheel and gear shift, cruise control, 17in alloys and dual-zone climate control. The new Civic Sport comes with 17in black alloy wheels, black roof lining, privacy glass, body colour-coded rear spoiler and lower mesh grille. SR trim gets leather interior, heated front seats, electric driver's seat, glass roof and an eight-speaker audio system. Ex Plus trim tops the range, and gets Honda's keyless entry and start, driver and front passenger electric seats, unique 17in alloys and LED headlights. For an additional £600 buyers can add Honda's Driver Assistance Package (DASP), which includes forward collision warning, lane departure warning, blind spot information and traffic sign recognition systems. Prices start from £15,975 for the entry-level 1.4 i-VTEC S hatchback, rising to £25,935 for the 1.8-litre i-VTEC Ex Plus hatchback with optional Honda Connect and the firm's £600 Driver Assistance Package. The Civic Tourer estate starts at £18,650 for the 1.8-litre iVTEC S and climbs to £26,970 for Ex Plus with Honda Connect and Driver Assitance Package options. The face-lifted Honda Civic is already priced £1620 less than the existing Civic, because of a highly competitive family hatchback and estate market. Discounts of up to £2000 could be found on the outgoing Civic, so expect similar discounts once the new facelifted version is into its lifecycle. Unfortunately for Honda, the Civic's rivals are very good. The Civic is up against the Volkswagen Golf, Audi A3 Sportback and Ford Focus and can't quite match the competition.